Virgin Bores have many customers in the western suburbs. In suburbs like Nedlands and Dalkeith there is a good proportion of houses using groundwater to irrigate their lawns and gardens. 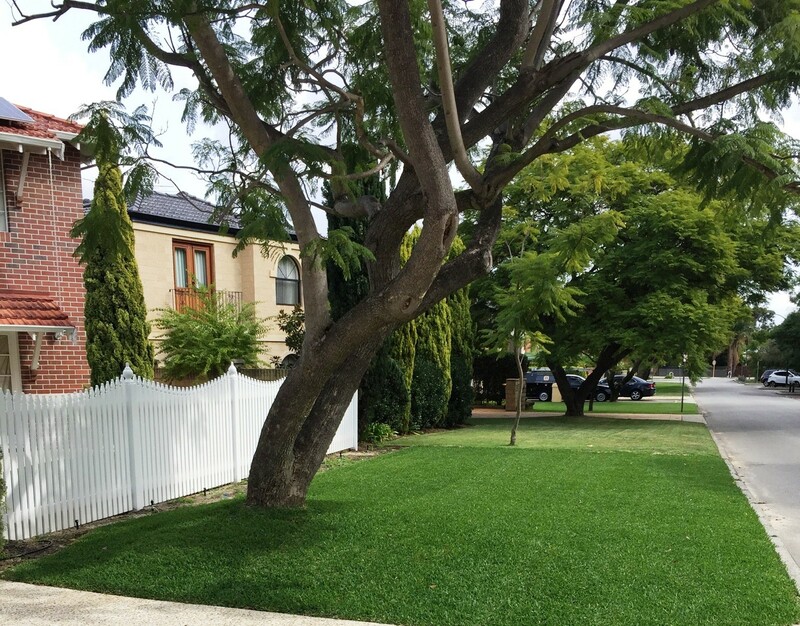 Nedlands and Dalkeith are highly regarded for the beautiful old homes, leafy gardens and lush lawns. But all this greenery needs water to thrive. Fortunately the suburbs have a viable groundwater source from the superficial aquifer and it is relatively easy to tap. The depth to groundwater on the river side of Stirling Highway is in the mid range by Perth standards and the surface geology not too difficult to drill through. This makes Nedlands and Dalkeith water bores quite affordable. When we use the plentiful groundwater available from the Perth superficial aquifer it conserves our potable water sources, whilst at the same time saving money spent on mains water. The latest Perth water bores are essentially a cylindrical stainless steel submersible pump inserted in to a PVC sleeve or borecasing that has been drilled (bored) in to the ground. The pump is submersed under water inside this casing deep beneath the ground. These water bores are not visible le at the surface. This is a far cry from the old types well bores. They have concrete liners and the ubiquitous conical tin well lids. Our electrician getting ready to install a submersible pump deep beneath the lawn. 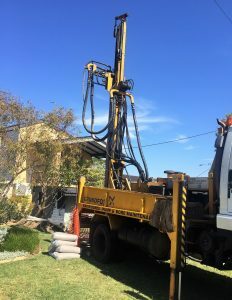 In Nedlands and surrounding suburbs the submersible bore pumps would normally be 1.1 or 1.5Kw (1.5 or 2 HP) pumping water quietly to the surface. 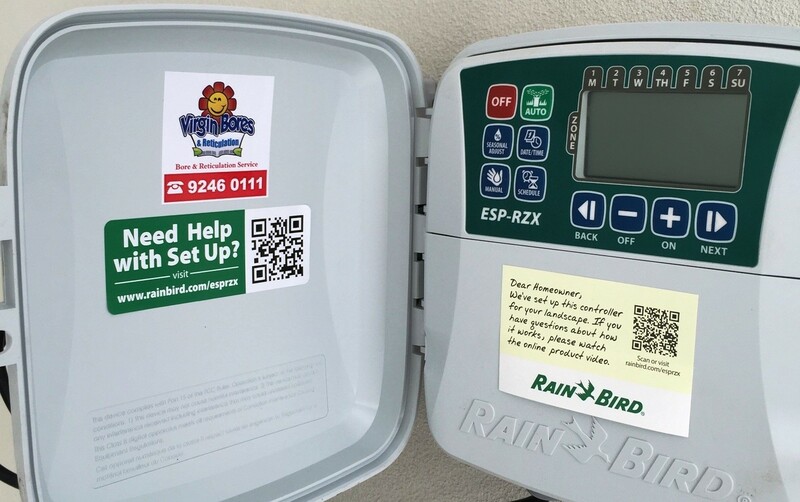 We would normally connect the bore to a home’s automatic reticulation sprinkler system. modern water bore construction can be found on our water bore page. We design and construct water bores to take in to account a variety of localized factors. One of the most important is depth to water. The depth to water in Nedlands varies considerably and is dependent on the locations height above sea level (AHD). The W.A. Government’s “Perth Groundwater Atlas”, along with our local expertise enables us to assess quite accurately the depth to water at any Nedlands home. 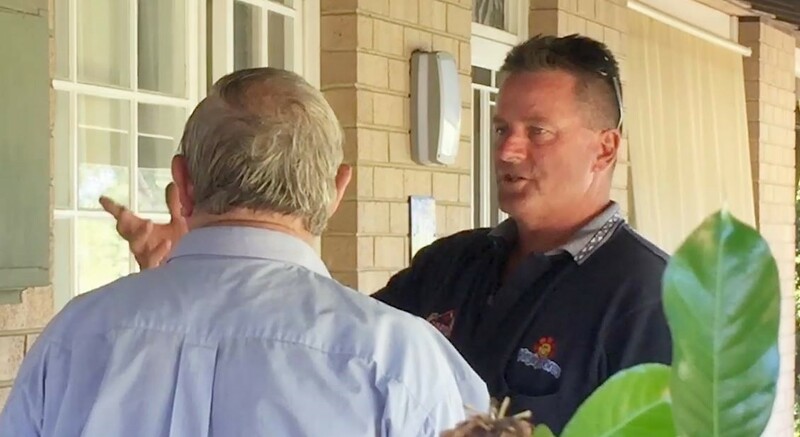 Water quality in Nedlands bores is generally good though caution needs to be exercised in those houses very close to the river because of potential saline intrusion. We are well aware of these considerations and will advise you on this. 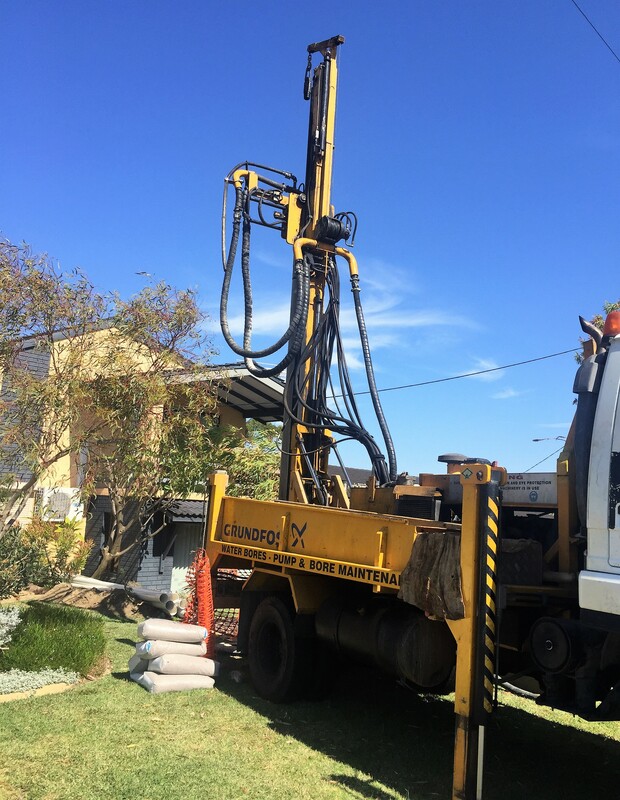 The western suburbs are subject to urban infill and subdivision of existing blocks so we have developed bore water systems suitable for these smaller blocks. We also have considerable experience and expertise in shared water bores. Call us on 1300 734 300 to get an idea of the cost for a water bore for your home. 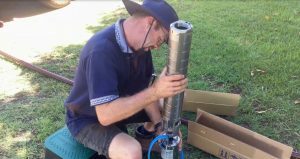 We will assess your requirements and design a bore specifically to suit your needs and the available groundwater. Our bulk buying assure you of the best value and most competitive price on your new water bore. Nedlands, Dalkeith, Claremont, Hollywood are suburbs where were we have nearly two decade’s experience. Chances are we have installed a water bore in your street! – Many older homes still have the early well style bores with ageing centrifugal pumps contained in well liners. There is very little maintenance for the modern stainless steel submersible bores but the older style wells require regular servicing. No problem for the Virgin Water Bores Nedlands service team. Ready to fix your bore or reticulation. We will get your retic system working just the way you want it! 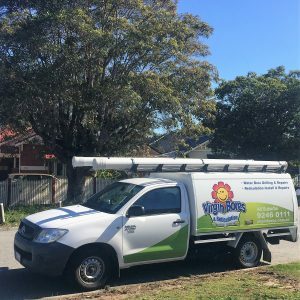 We fix all types of Bore pumps Nedlands and surrounding suburbs, centrifugal and submersible pumps, fused motors, anything to do with bores, pumps, and irrigation or reticulation sprinkler systems. Insurance fusion claims are a specialty. 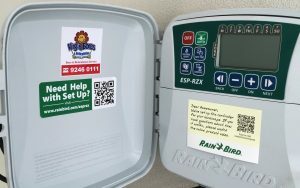 Please call us on 1300 734 300 and we will attend to any service, maintenance or pump requirement for your old water bore. Or fill in the form below and we will respond to you personally and promptly.